The Audi Q7 3.0 TDI impressed when we group tested it against the new Land Rover Discovery. Now we’re sampling the entry-level engine in entry-level SE trim (S-line pictured), which makes up for its lower power output and stingier equipment with, yes, a cheaper pricetag. It’s on sale now from £50,735, a £2850 saving over the next most powerful version, and a further £3.5k over the S-line models. What are the key differences between the two engines? 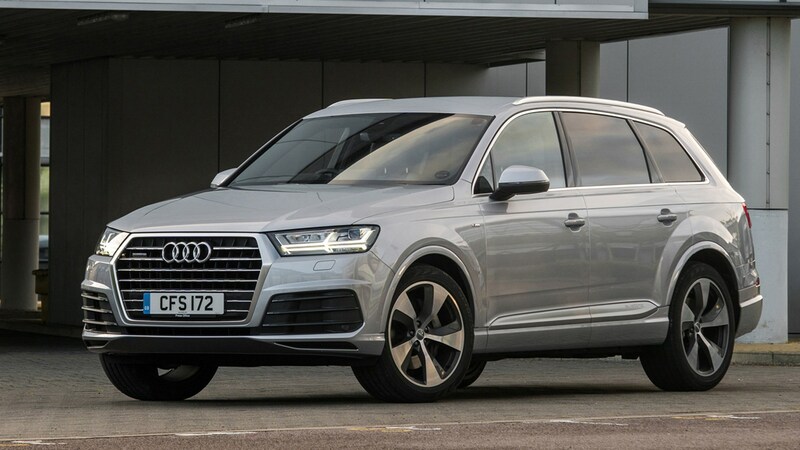 Both Q7s use a 3.0-litre TDI V6 engine, but the entry-level version makes 215bhp, which compares with 268bhp offered by the top-spec TDI. Torque also falls from 443lb ft to our car’s 369lb ft. The result is a 0.8sec increase in the 0-62mph time to 7.3 seconds, and an 11mph reduction in top speed to 134mph. 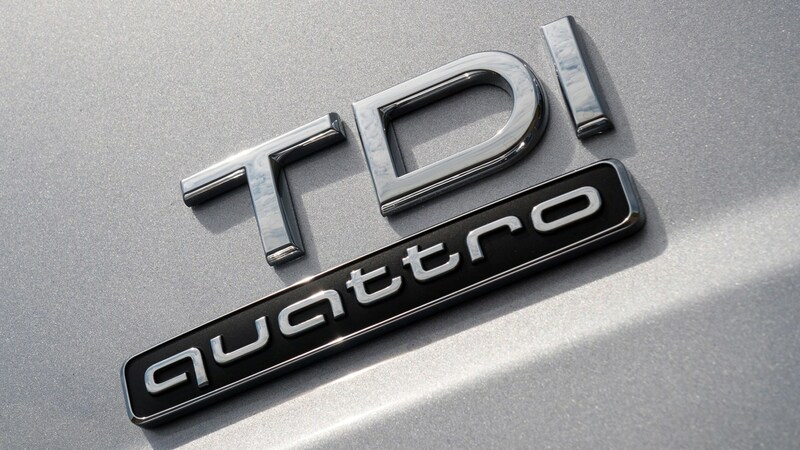 Unfortunately, there isn’t a similarly sized payback when it comes to efficiency: the entry-level TDI’s 48.7mpg and 150g/km CO2 plays the 268bhp version’s 47.1mpg and 158g/km CO2 – the VED band drops from I to H, but Benefit-In-Kind remains identical at 32%. How does the entry-level engine feel? Despite having a metaphorical pillow squashed over its air intake, the V6 TDI continues to win us over. It’s luxuriously smooth, notably quiet and perfectly powerful enough, so while you do notice the lower performance versus the other TDI, it never feels lacking; it’s a great ambassador for a modestly powered six over a downsized four. It pulls keenly from very lowdown, boasts generous mid-range thrustiness and never feels thin or strained at higher revs. Look at the stats – all 369lb ft of pulling power available from just 1250rpm – and you glean an awful lot about its flexibility. The eight-speed auto gearbox perfectly suits the engine, with its smooth-but-quick shifts, intuitive auto calibration and the ability to go DIY with clicky paddles. You might know that the Q7 shares its basic underwear with the Bentley Bentayga, which bodes well given how highly we rate that car. The Q7 handles very neatly indeed, especially for a car this size, and carves into roundabouts with impressive composure and a stoic refusal to understeer. The steering adds to this impression, feeling light, as quick as you’d want it to be and extremely accurate. No, no, not much feel, no there isn’t, but really it feels nicely judged and in keeping with a car of this type. However, the optional air suspension (a £2.6k extra as part of the Dynamic pack) we’ve previously tested on other Q7s is notable by its absence here – it’s just plain old coils, and there’s none of the active anti-roll bars that work magic on the car from Crewe either, nor the Q7’s optionally available all-wheel steering. Nonetheless, the coils make for a generally comfortable, well-controlled ride, but the composure does at times descend into lumpy fractiousness, particularly on patchwork urban surfaces. The air suspension is clearly superior, and yet if you’re reading this in a few years’ time and worried about replacement costs, well, the coils could well be the pick of the used buys, and it certainly wouldn’t deter me even as new. Do we still get seven seats as standard? We certainly do. The row-two seats fold down easily and roll out of the way like a couple of gymnasts, and the third row then stands to attention when you press one of two sets of buttons (both do the same job) that are either accessible when you open the rear doors or the tailgate. There’s space for adults back there, but they’ll be cramped – still, it does the job for short journeys – and mostly these are spare seats for the kids. It’s impressive that you get an extra pair of Isofix anchors for kids’ seats in row three too, bringing the tally to a fertile six. The rest of the interior – the fit and finish, the refinement, the comfort, the materials – is all to the highest standards. 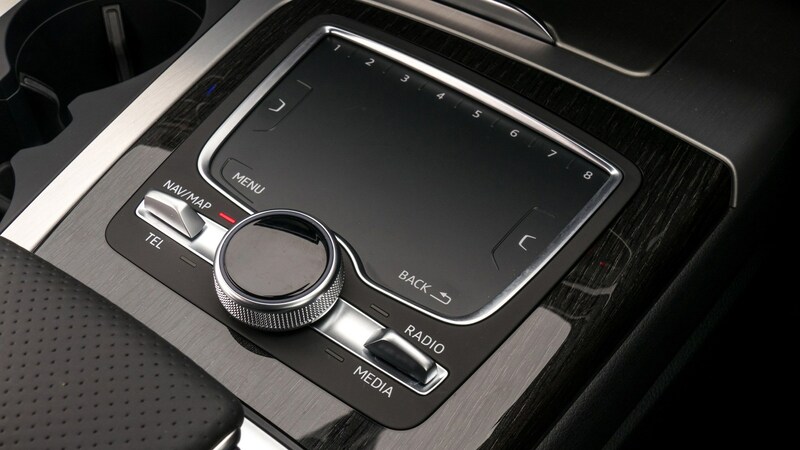 MMI Navigation, the 8.3-inch retractable screen, Bluetooth, Audi Connect, keyless go, powered tailgate, cruise control… it’s all standard for the SE. For the record, the spec is the same regardless of engine output, it’s the SE or S-line bit that matters. Given that our test car’s white paint was a £675 extra, it might seem a little odd that the lovely ‘Noughat Brown’ leather interior was ‘free’. It’s also worth noting that we needed the £1950 Technology Pack to get the brilliant virtual cockpit instrument display, which allows tricks such as placing the sat-nav map between the speedo and rev counter. 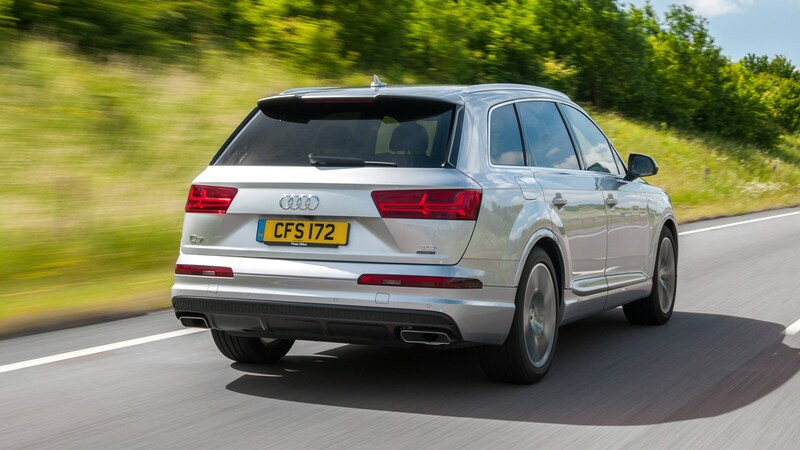 The 216bhp 3.0 TDI SE might be the poor man’s Q7, but it doesn’t feel it. Clearly, the more powerful version is more satisfying by virtue of its 268bhp output, but this entry-level SUV proves more than adequate for everything you’d want from a luxury SUV: namely refined, effortless progress, decent frugality and a long cruising range – the latter helped by our car’s no-cost 85-litre fuel tank. The one demerit is how little fuel efficiency and CO2 emissions improve. The 268bhp TDI is a relatively small £2850 step up, S-line trim another £3.5k on top of that, and you can get air suspension, all-wheel steering, and very nice all that is too. But if I’d bought the cheapest, slowest, most basic Q7 I could find, I wouldn’t be suffering buyer’s remorse. Definitely worth a look, this entry-level Q7.